Former Connecticut cornerback Byron Jones set a new broad jump record at the 2015 NFL combine. 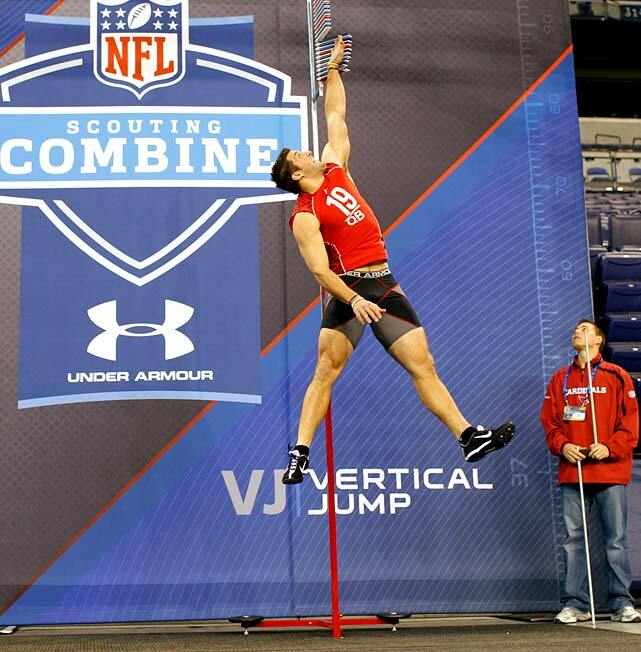 Move over Jamie Collins, there's a new NFL combine broad jump record. Former UConn cornerback Byron Jones shattered Collins' 2013 record of 11 feet, 7 inches at the 2015 combine on Monday, becoming the first player to jump over 12 feet in the broad jump with a 12'3'' jump. Jones impressed in more than one way at the combine, showing off his freakish ability in the vertical jump as well. He recorded a 44.5-inch vertical. But perhaps the most impressive aspect of Jones' performance was that he's not even fully healthy after undergoing shoulder surgery for an injury that ended his season last October. Furthermore, it appears' Jones broad jump was not just the best from the combine, but would be better than the longest broad jump on record as well. 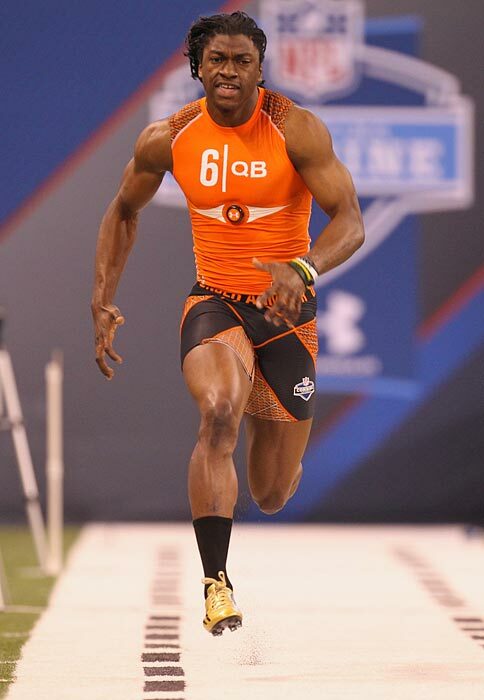 UCONN CB Byron Jones 12’3” broad jump would be a world record. Previous record of 3.71 meters (12’2”) has stood since 1968. The anointment of Andrew Luck as the clear top prospect in the 2012 NFL Draft class underwent a seismic shift when Griffin blew scouts away with his 40-yard dash times of 4.41 and 4.38 seconds, the latter the fastest time by a quarterback in 12 years. Griffin was not exactly regarded a running quarterback but clearly changed that perspective with his blazing speed. Luck still went first in the draft, but RGIII won Rookie of the Year and led the Washington Redskins to the playoffs with 3,200 passing yards, 815 rushing yards, 27 total touchdowns and just five interceptions. 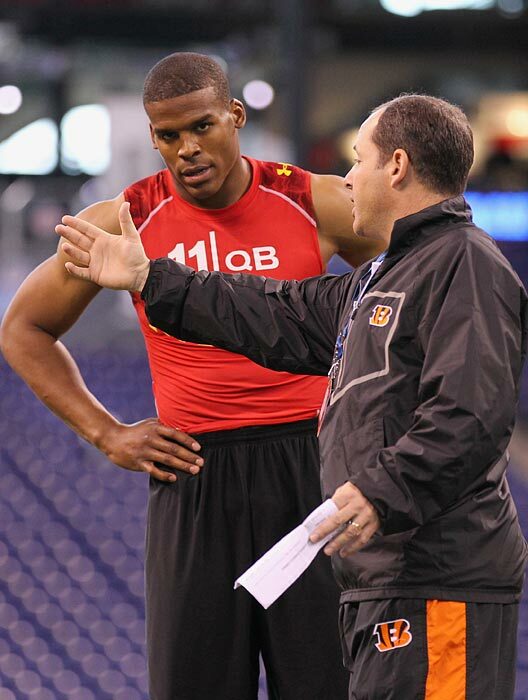 After a Heisman Trophy year filled with controversy, the intrigue followed Newton to the 2011 combine. Newton got flustered and defensive when an NFL team asked him why he ignored Gene Chizik's call to take a knee and instead ran a quarterback sneak in the BCS National Championship Game. He also had to defend himself for a comment in which he described himself "not only as a football player, but an entertainer and icon." The questions his attitude and comments raised were quickly answered in the NFL as Newton won the 2011 Offensive Rookie of the Year and earned a Pro Bowl nod. Heading into the 2010 combine, scouts questioned whether Tim Tebow could play quarterback in the NFL. Some suggested he should test as a receiver or halfback at the combine. But Tebow was adamant that he wanted to play quarterback and he turned in a memorable combine performance. His 38-1/2 inch vertical leap tied a QB record and his interviews with teams reportedly were impressive. The Broncos bought into Tebow, selected him with the 25th overall pick, started him at quarterback in Week 15 of his rookie season but later traded him to the Jets. He's now out of football. 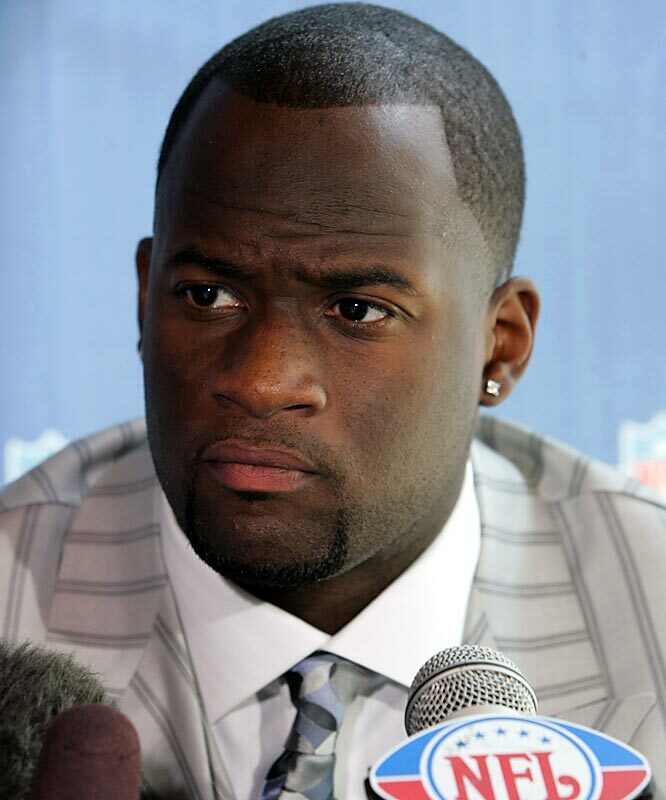 In 2009, Al Davis and the Raiders fell head over heels for athletic wide receiver Darrius-Heyward Bey. 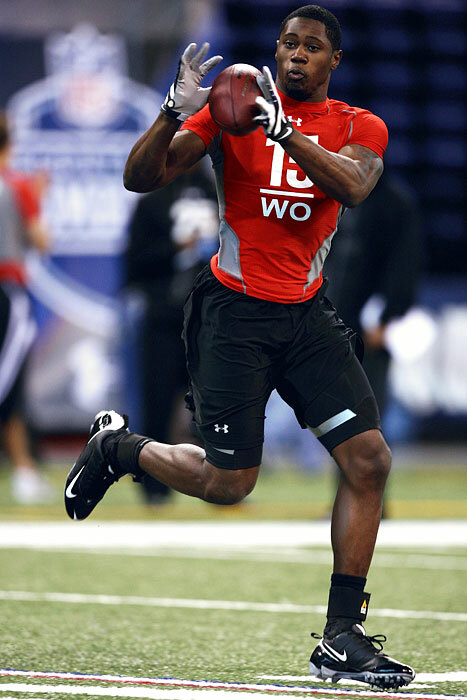 Once a fringe first-round pick, Heyward-Bey was selected seventh overall by Oakland after he ran a 4.30 and had an impressive 40-inch vertical at the combine. 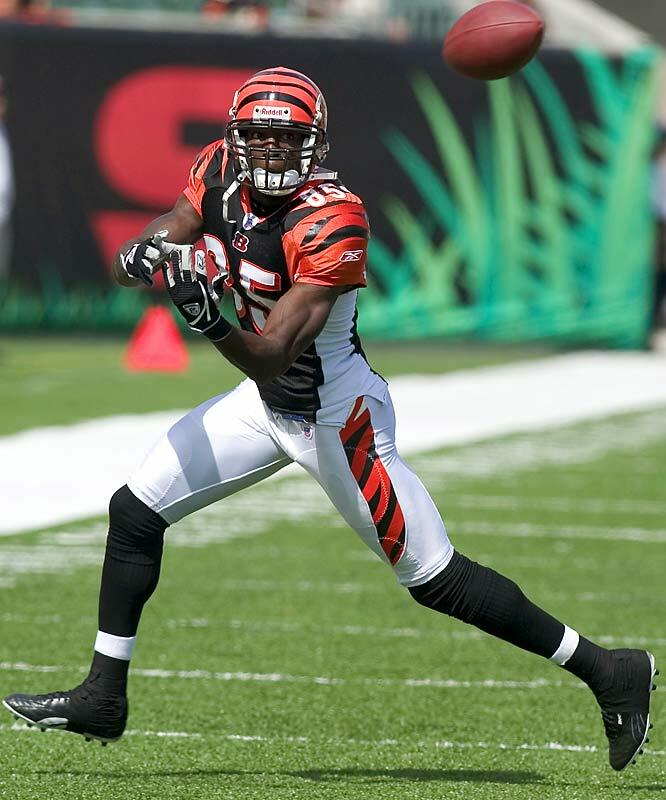 Heyward-Bey had a breakout year in 2011, catching 64 balls for 975 yards but regressed to 606 receiving yards in 2012. Alabama OT Andre Smith was regarded as one of the best linemen before the 2009 combine. But Smith raised doubts when he showed up weighing a staggering 332 pounds. His decision to run the 40-yard-dash shirtless was just as bad as his time of 5.28. To top it off, he decided to leave the combine early without informing the NFL. The Bengals still took a chance on Smith with the sixth overall pick. A disappointment in his first two years in the NFL, Smith earned the starting right tackle spot in 2011 and turned in his best season in 2012. 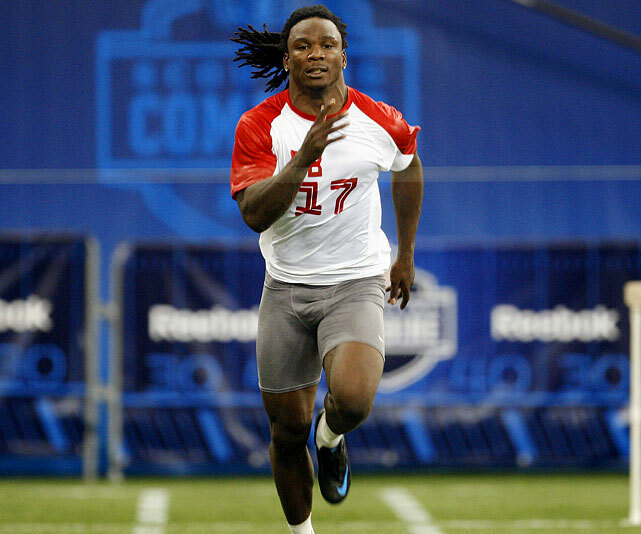 Before the 2008 combine, East Carolina running back Chris Johnson was a projected mid-round pick. That was until he ran the 40 in 4.24 seconds, tied for the fastest all time. Johnson made the Titans look smart after picking him with the 24th overall pick. He became the sixth running back in history to run for more than 2,000 yards in his second season. 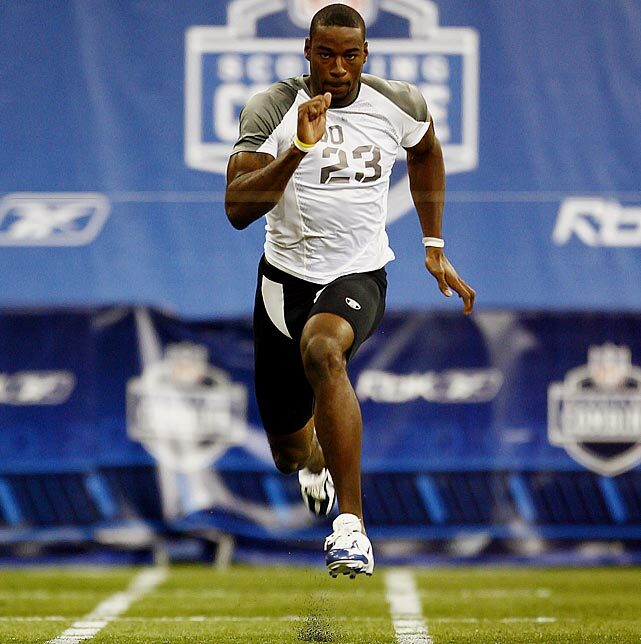 In 2007, Calvin Johnson weighed in at 239 pounds, the heaviest among wide receivers at the combine. 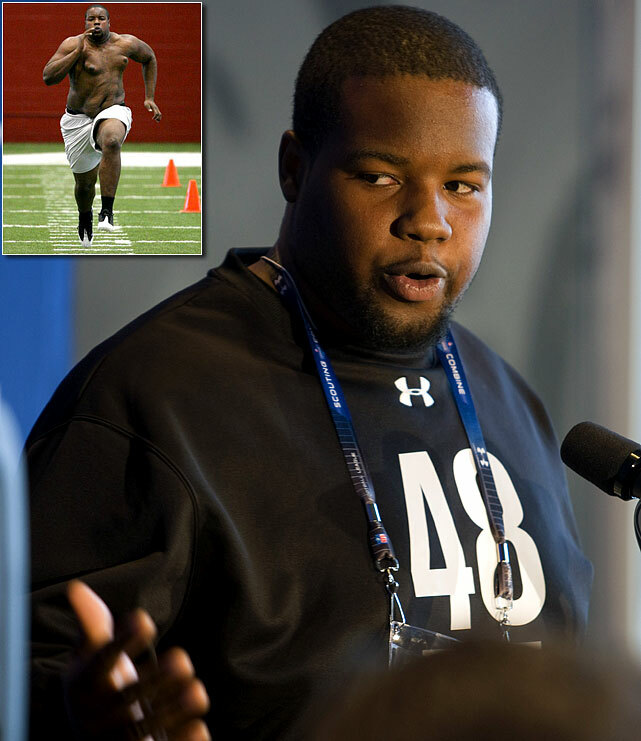 His weight and his initial decision to wait until his Pro Day to run the 40 surprised scouts. However, Johnson had a change of heart. He hurriedly reclaimed running shoes he had lent to another player and ran the 40 in a startling 4.35 seconds. 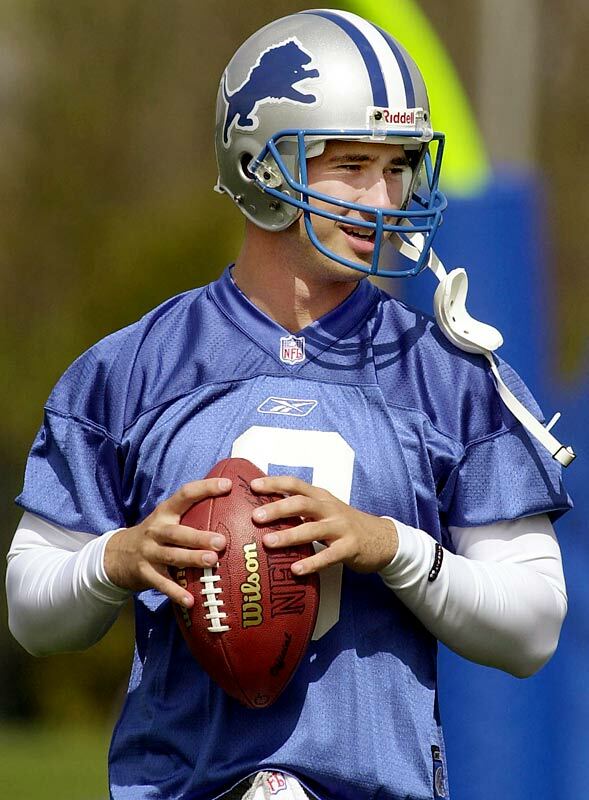 The Lions used the second overall pick to select Johnson and he made his first Pro Bowl in 2010. 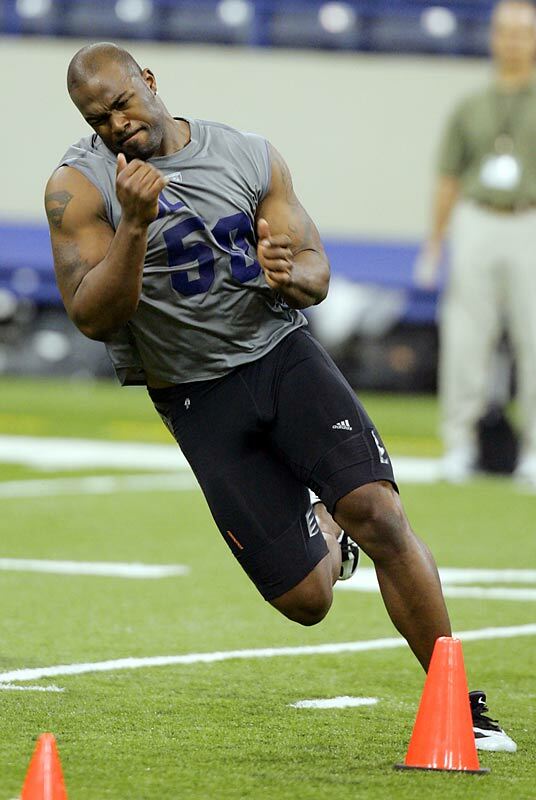 In 2006, Williams turned in an all time great workout at the combine. He timed 4.75 seconds in the 40, completed 35 reps on the bench and topped the vertical jump at 40.5 inches. His marks were part of the reason the Houston Texans shocked many by selecting him over Reggie Bush. In 2006, Young reportedly scored a 6 the first time he took the Wonderlic, but then the NFL said there was an error and he got a 16 in a re-test. Young went No. 3 to the Titans and won Rookie of the Year in 2006 but regressed after that, finding himself out of work for the 2012 season. In 2006, the Ohio State defensive back turned heads with a workout that exceeded expectations. He ran in the low 4.4's and turned in a vertical jump of 40 inches. His performance vaulted him to the eight pick of the '06 draft, which was another surprise. After sitting out a year from college football, Clarett had a lot riding on his performance at the 2005 combine. He ran a 4.82 40 and then a 4.72, which raised many doubts about the Ohio State running back. The Broncos took him in the third round anyway and he is now out of the league. 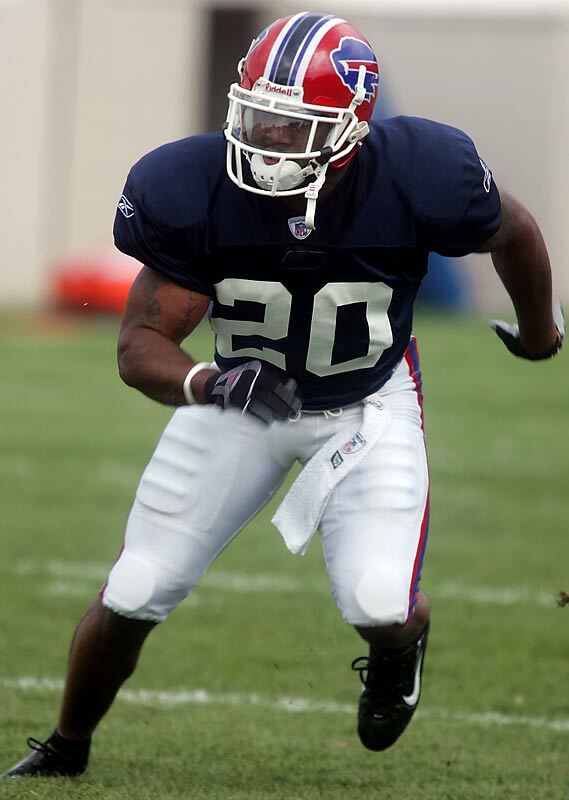 Williams sat out the 2004 season after an unsuccessful attempt to enter the draft after his sophomore campaign. He clocked a 4.57 40 after weighing in at 230 pounds. He was so impressive at the combine that the Lions made him the tenth pick of the draft -- the third successive year Detroit used a first round pick on a receiver. In 2004, Big Ben entered the draft as a junior and did not have the benefit of postseason All Star Games. His draft grade was heavily reliant on the combine and he did not perform well. 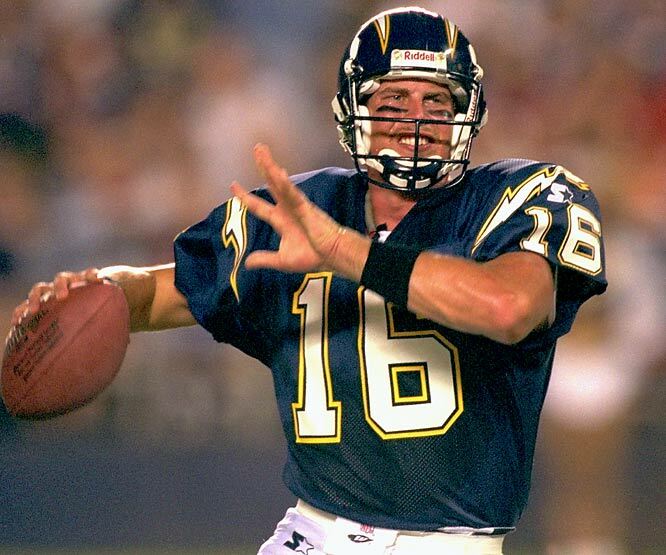 He was inaccurate with his passes throughout his workout and as a result became the third quarterback chosen in the '04 draft. Boller wowed scouts by throwing from the 50 while on his knees a ball that went through the goalpoast. 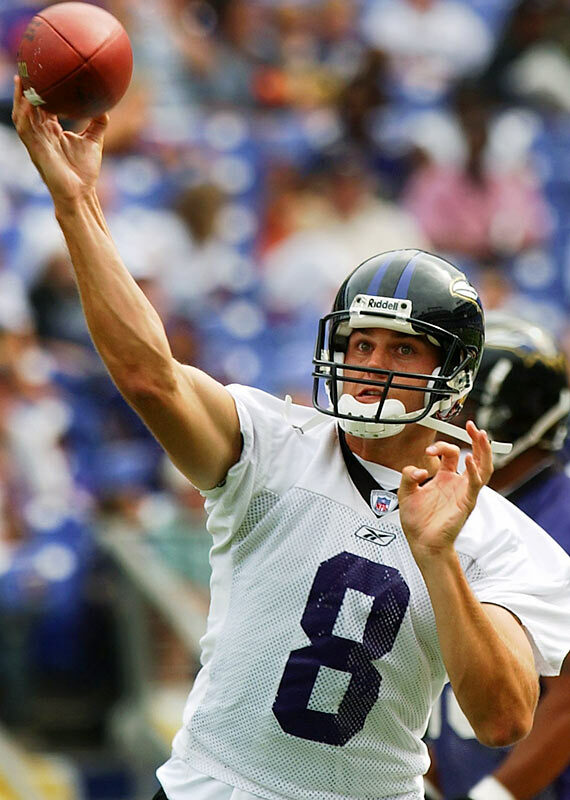 Despite his arm strength, Boller had little success after the Ravens took him in the first round of the 2003 draft, losing his starting spot before bouncing around the NFL and retiring before the 2012 season. In 2002, Harrington was fresh off a knee injury that he sustained at the East-West game. The day of his combine workout he was horribly sick with the flu and his voice was barely audible. He threw lights out once he took the field at the RCA Dome. His passes, both long and short, were on the mark all afternoon. He was so impressive the Lions chose him with the third pick of the draft. 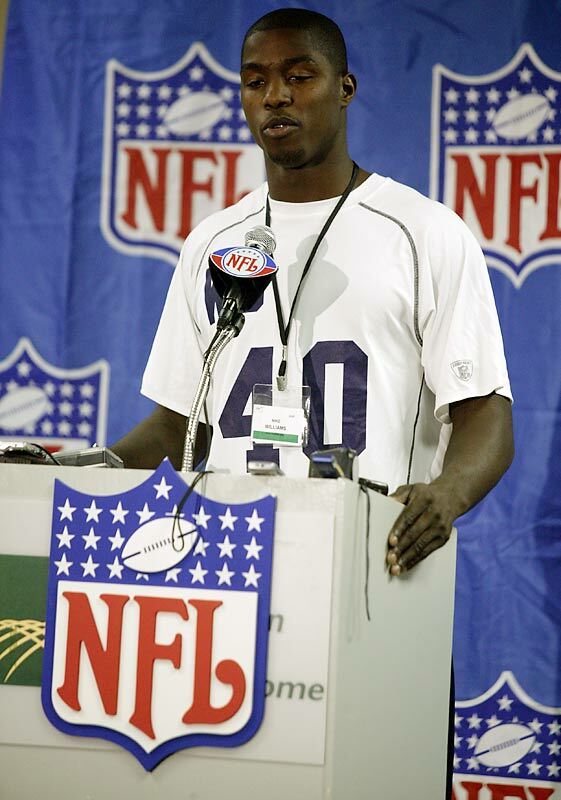 In 2001, Johnson entered the combine as a late first-round pick after a brilliant performance just weeks prior at the Senior Bowl. His disappointing workout, in which he didn't crack 4.55 in the 40, pushed Johnson into round two. Kearse was considered a `tweener coming out of Florida, but he ran a 4.43 40 and reportedly tied Deion Sanders for the fastest first 10 yards of the 40 in combine history. 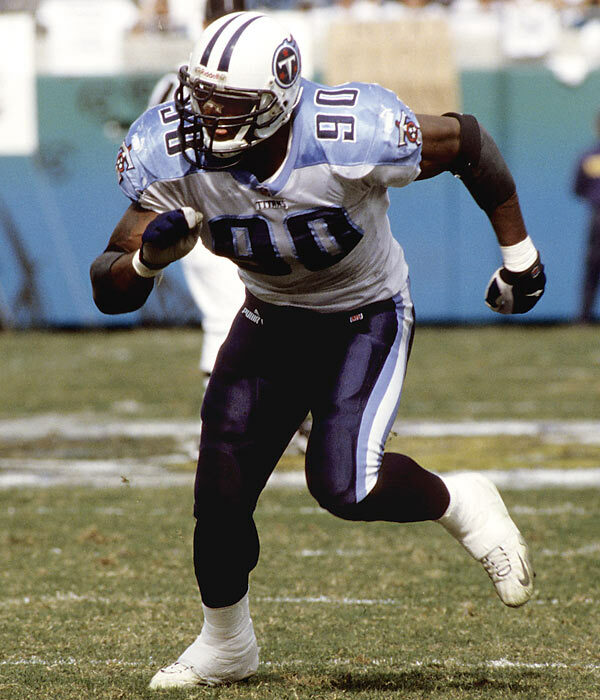 The Titans took him in the first round and he had 14.5 sacks as a rookie in 1999. The Oregon standout scored a 37 on the Wonderlic intelligence test in 1999 and reportedly scored a 13 the first time he took it. 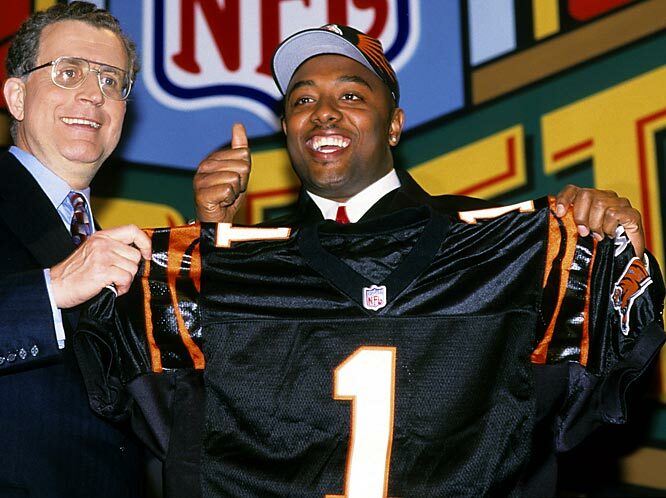 The Bengals took him at No. 3 overall and he was a complete bust. 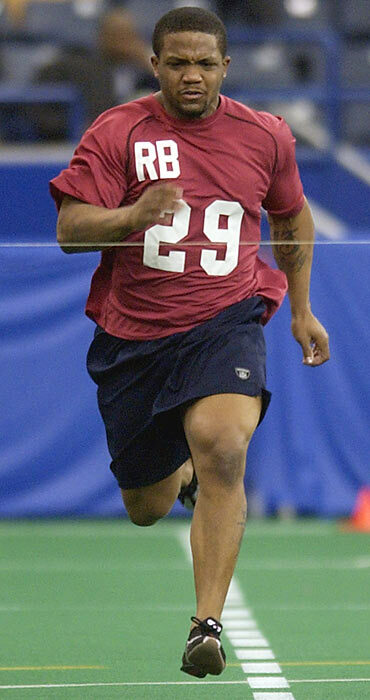 In 1998, the Washington State standout reportedly showed up at the combine overweight and then blew off his meeting with the Colts, who were interested in taking him No. 1 overall. Indy chose Peyton Manning and Leaf went No. 2 overall to the Chargers. Leaf is considered one of the biggest draft busts in NFL history. 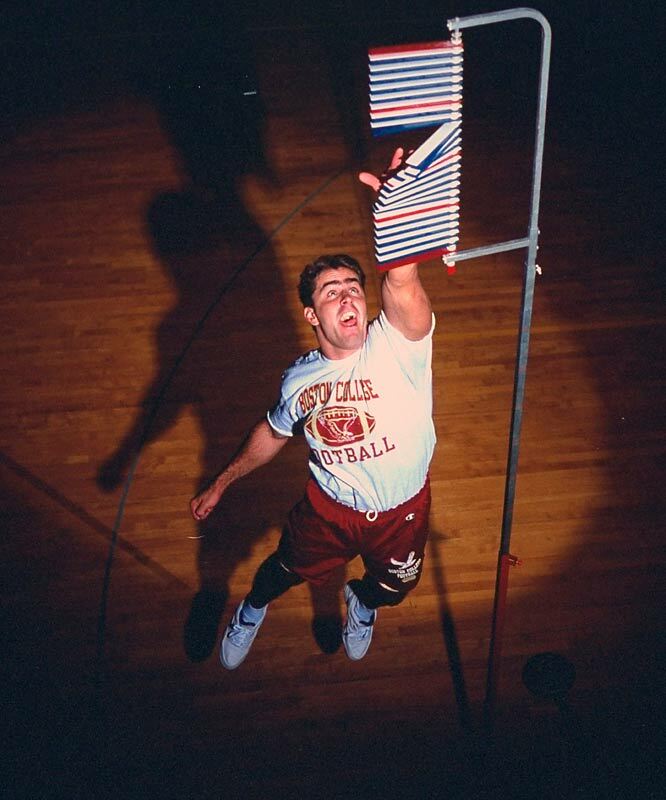 The Boston College defensive end worked out with Boston Bruins strength and conditioning coach Mike Boyle and aced every test he took at the 1995 combine. He benched 225 pounds 26 times and ran a 4.62 40. Mamula went from relative obscurity to the No. 7 overall pick by the Eagles. He had a mediocre six-year career. The Penn State RB supposedly ran a 4.4 40 at the 1990 combine before being taken No. 2 overall by the Jets. Thomas had a disappointing six-year career. Emmitt Smith, who went on to become the NFL's all-time rushing leader, ran a 4.7 40 that year and fell to No. 17 in the first round. 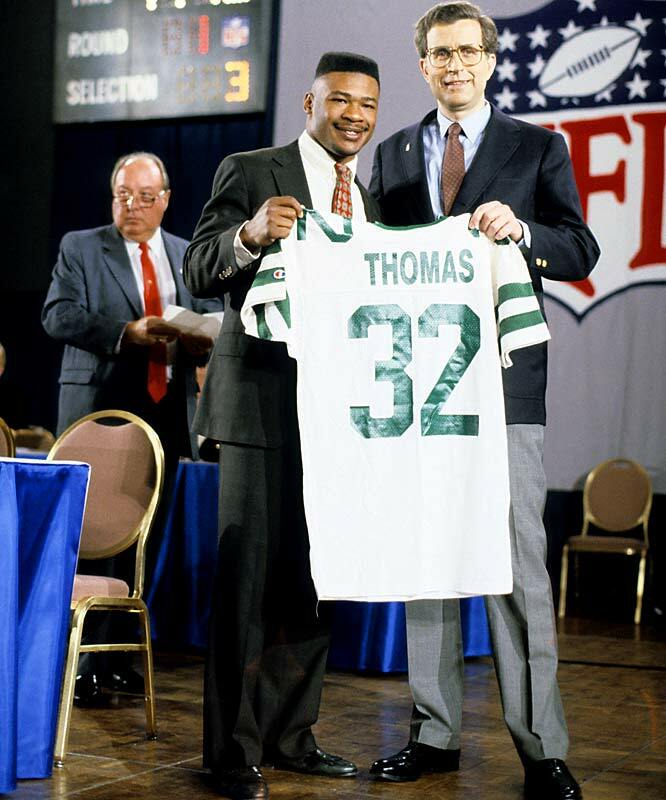 In 1989, the entire league was enamored with the Michigan State offensive lineman who was then an impressive 6-foot-6, 315 pounds and ran a 4.65 40 and had a 30-inch vertical leap. 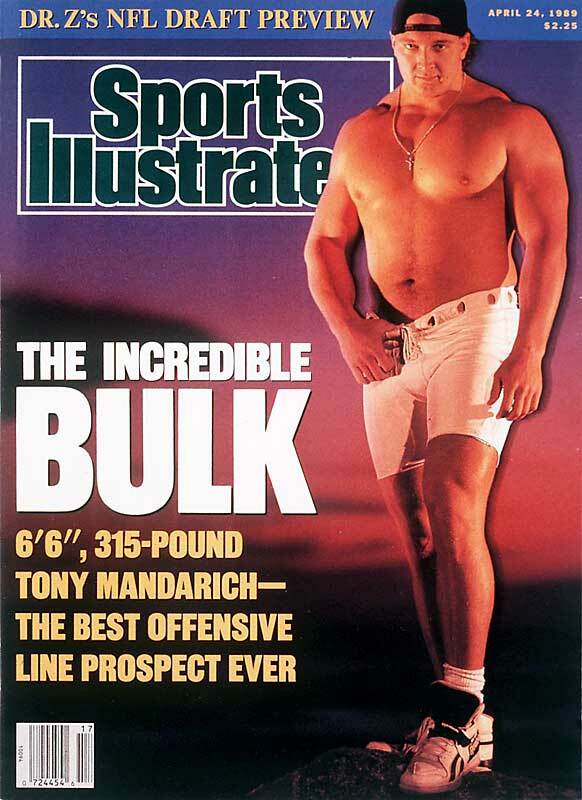 Mandarich never translated his workout success to consistent production in the NFL. 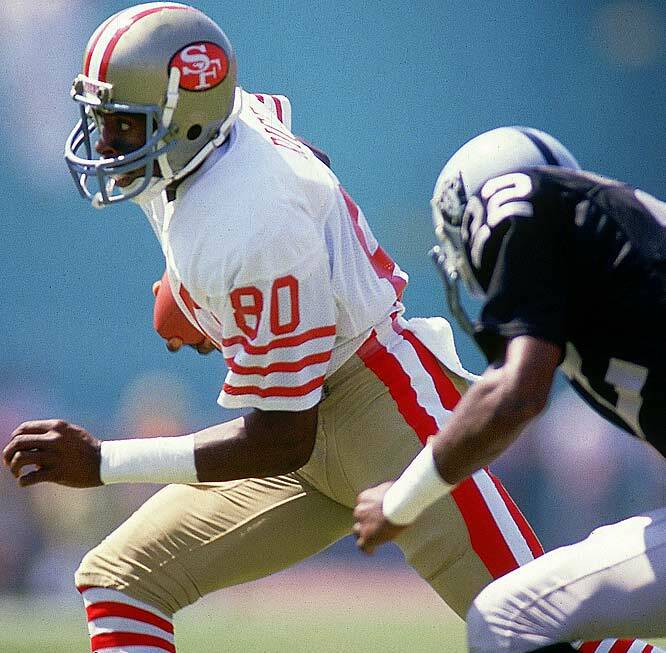 The Mississippi Valley State product reportedly ran a 4.6 40 at the 1985 combine -- a slow score for a wide receiver. Rice went to the 49ers at No. 16 -- behind two other receivers -- and the rest is NFL history. Send comments to siwriters@simail.com.